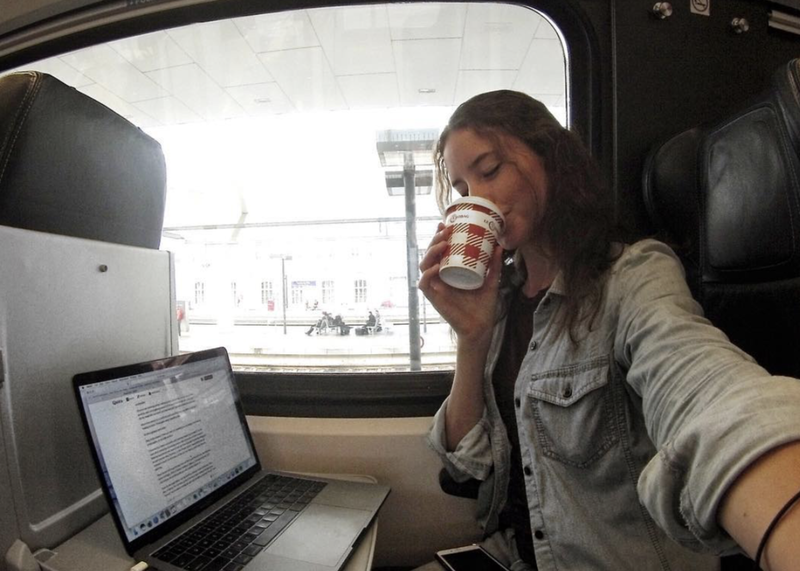 Picture via Instagram: Creating content for one of my clients while on the train to Vienna, Austria. First, you want to find something that you are passionate about. If you are unhappy with your 40 hour a week job, doing it while on the road isn’t going to make it any better. As much as it seems like that might dull the pain of having a job that you don’t love it will not. I listened to over 100 podcasts (my absolute favorite being The Hustle Sold Separately) and 100 more Youtube videos (Gary Vaynerchuk and Alex Ikonn) to figure out how people were making money off of their passions. Essentially I gave myself a lesson in business, learning what makes a profitable business and how to bring that into my own life. Sitting and listening to others who were living location independent lives funded through their passions, I learned that the difference between these people and me was that they were taking consecutive action. The fastest skills that you can learn are the art of listening to those who are successful in a career path that you are interested in and then taking action everyday to get yourself there. As a newbie, your consecutive action is to consistently listen and be able to say that you took AT LEAST one action towards your digital nomad lifestyle goal on a daily basis. I am still doing this on a daily basis, whether it’s an action as big as landing an awesome job or just creating content for my personal brand. Newer PostWhat Are The Advantages Of Living As A Nomad?